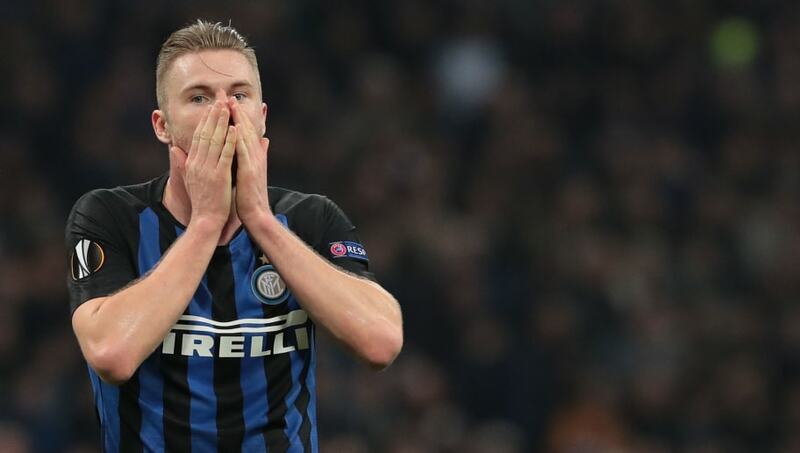 Inter have admitted they would be willing to sell Milan Skriniar for the right price this summer - despite the centre back looking set to sign a new deal at the club - putting Manchester City, Manchester United and Barcelona on red alert. Skriniar has emerged as one of the top players in his position since joining from Sampdoria in 2017 for €28m, playing 39 times across competitions for Luciano Spalletti's side this season. However, according to ​Calciomercato, the Nerazzurri are still willing to sell the Serbian international this summer, provided they receive a fee of €100m or more. This is in spite of the fact that, according to Italian football journalist Fabrizio Romano, Skriniar is about to sign a new contract with the Serie A side that would extend his current deal by a further year. In a tweet, Romano explained: "Milan Skriniar is ready to sign his new contract with Inter until June 2023. Agreement reached, here we go!" With Vincent Kompany's future still up in the air, City are searching for a worthwhile replacement for the vociferous Belgian, while ​United have been desperate for defensive reinforcements pretty much since Nemanja Vidic left Old Trafford. As for ​Barca, Samuel Umtiti's future looks cloudy at best, while Gerard Pique isn't getting any younger. ​Inter have made no secret of their interest in Fiorentina's Federico Chiesa, and with Diego Godin almost certain to reinforce the rearguard come the end of the season, they see Skriniar as the best avenue to attain these funds in order to land the precocious Italian. And, should the Chiesa move fail, they have set their heart PSV Eindhoven's Dutch international winger Steven Bergwijn as the next best thing.